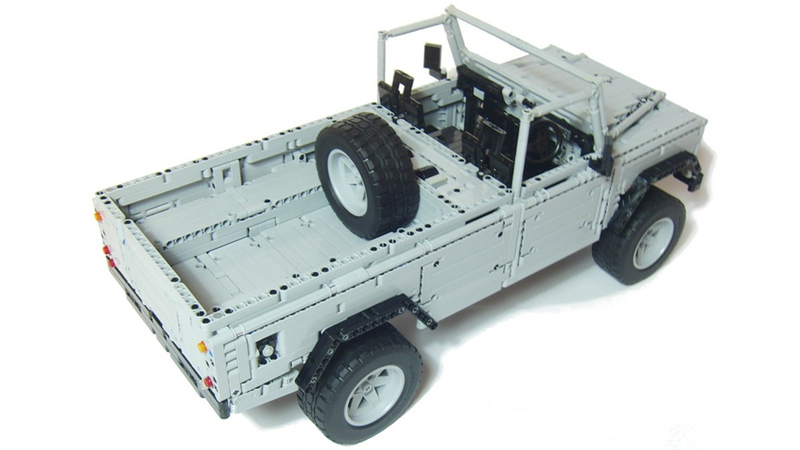 If you needed yet another reminder that you're far from being a Lego master builder, check out "Sheepo's" mind-blowingly awesome 1:8.4-scale Land Rover Defender 110 built from over 2800 pieces. 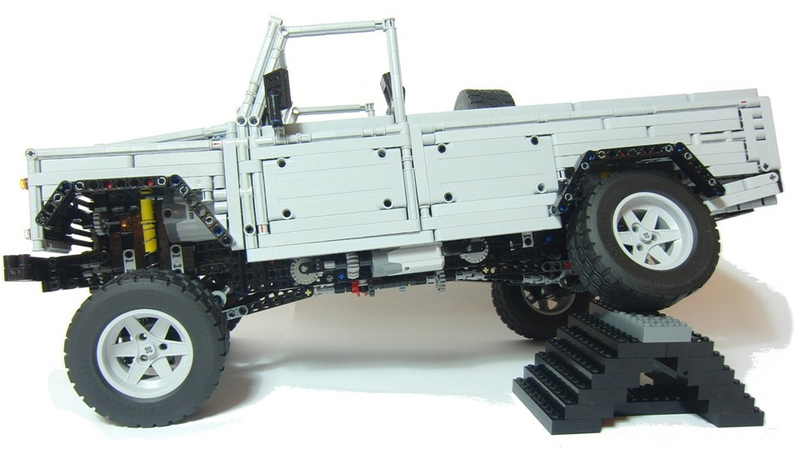 It could probably endure an off-road adventure better than your compact car. 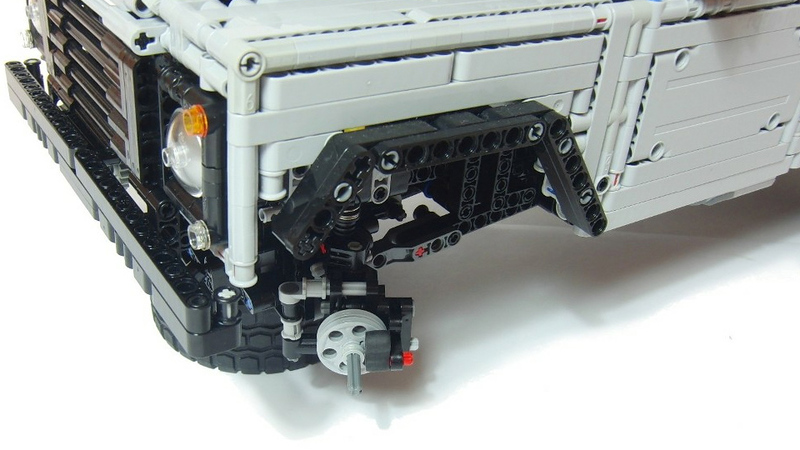 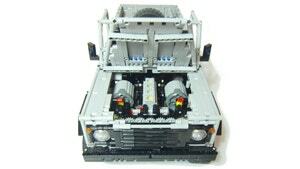 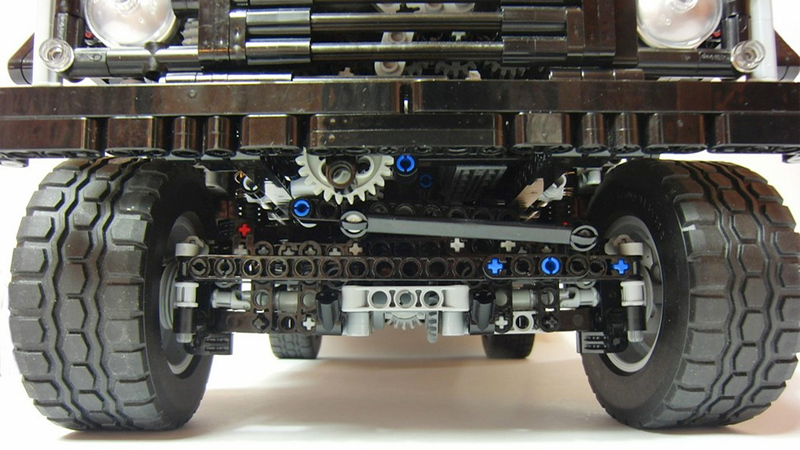 As with any Lego creation that's worth its weight in bricks — in this case almost seven pounds — Sheepo's Land Rover is even more impressive underneath its detailed body which can be easily removed with just four pins. 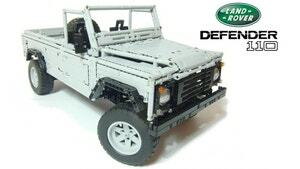 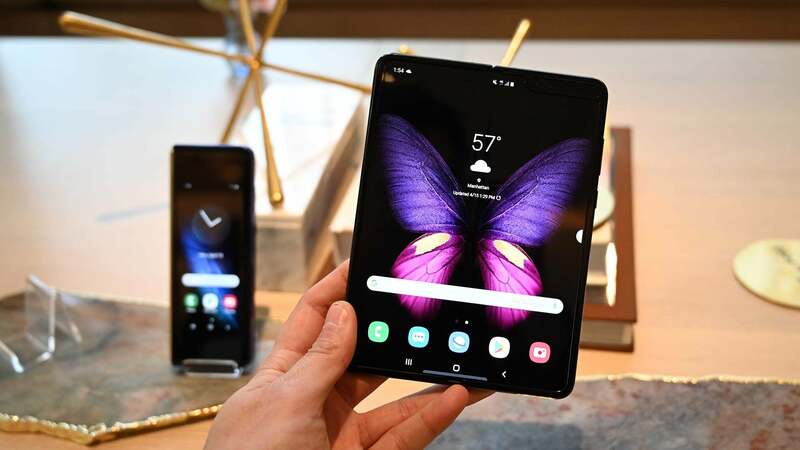 It has fully functional steering, a five-speed transmission with reverse, two-wheel and four-wheel drive modes for serious off-roading, full suspension, and working disc brakes on every wheel. 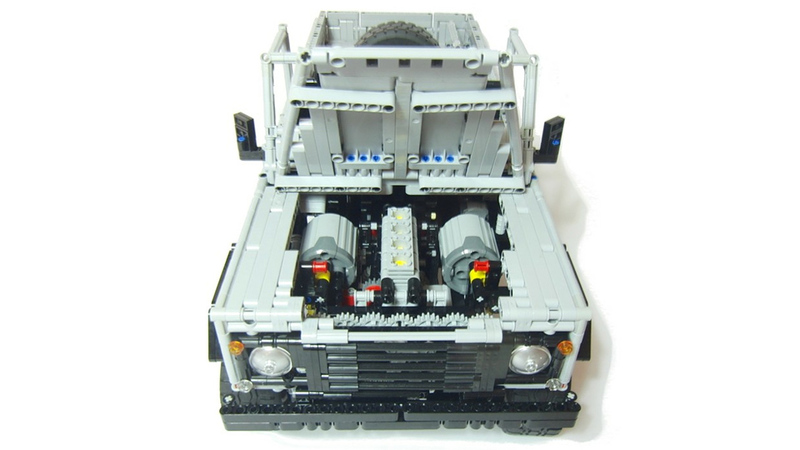 It even has a top speed of almost two and a half miles per hour, which, admittedly, would probably seem more impressive to Lego scale drivers.